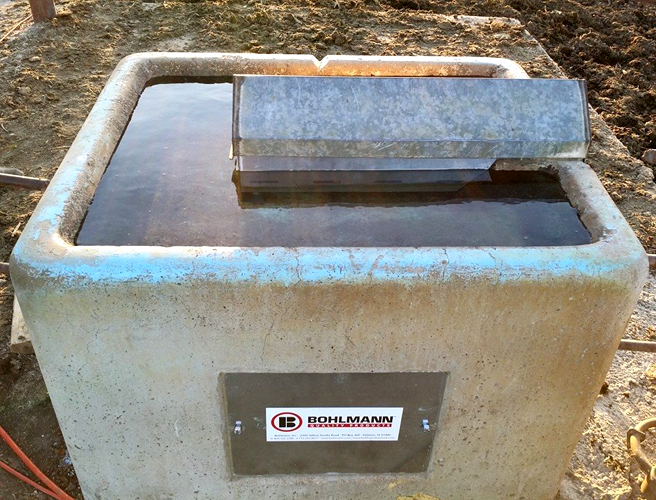 Bohlmann prides itself on making quality waterers to keep operations running smoothly and efficiently, so it makes us smile when we hear positive feedback about our products! Below are testimonials of several customers who share our love for dependable, durable waterers and parts. "I have a number of Bohlmann waterers and they have performed well with very little trouble. Some of the units are 25 plus years old." "Went in to grab a few parts for a very old Bohlmann waterer of ours. Got the best treatment ever! These guys are amazing!" "We purchased the concrete self waterer for approx 75 head it is wonderful to use low maintenance and the cows have had no problems drinking out of it we have not had it freeze once and in Indiana sitting out in the pasture that's saying something for it. We had always wanted a concrete waterer that's what a lot of farmers use for natural springs we intend on putting a couple of those in as well in different pastures in the spring when it get's warmer. If you are thinking of purchasing a concrete waterer think no more these are better than plastic ones." "It is the only autowaterer I will ever own. It has worked well for over 35 years and I have used it in the winter without any trouble." "I have 3 waterers and I have had a good experience with the waterers. Last winter, my waterers did not freeze up." "I run a stocker operation and have replaced the ponds with Bohlmann waterers. Wish we had done this years ago. Tanks work great." "I have 2 model 75s. One is 24 years old and has the original heater. Easy to clean and horse proof. Works well in cold weather and has never frozen. Excellent product." Photo I have a product photo that Bohlmann can use with my testimonial. Disclaimer - If you selected yes to providing an image, Bohlmann will be in touch with you about obtaining the image for use on this page.